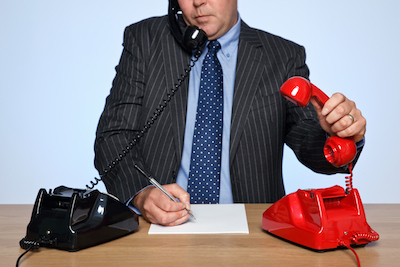 I love the concept of this post from Patrick Cahill on the Hubspot Inbound Sales blog. It seems totally sensible to me that sales people should A/B test their calls the same way marketers A/B test web pages, emails etc. etc. In fact sophisticated marketers live by A/B testing so why wouldn’t sales people learn this too. After examining data from hundreds of thousands of dials, it turns out that voicemail can be adjusted, tweaked, and tested to improve response rates.